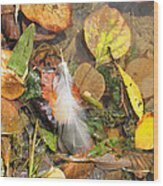 Autumn Leavings by Ann Horn - 6.000" x 8.000"
Autumn Leavings art print by Ann Horn. Our prints are produced on acid-free papers using archival inks to guarantee that they last a lifetime without fading or loss of color. All art prints include a 1" white border around the image to allow for future framing and matting, if desired. Dora, thank you for featuring Autumn Leavings in the Glimpses of Autumn group. Randy, thank you for featuring Autumn Leavings in the Wisconsin Flowers and Scenery group. Alexandria, many thanks for featuring Autumn Leavings in The Artistic Forage group. Thank you so very much, Gary. 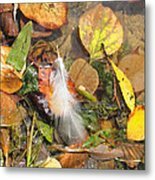 Carol, many thanks for featuring Autumn Leavings in the Feathers group. 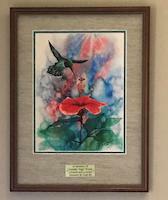 Bruce, thank you for featuring Curbside Artist in the Comfortable Art group. Thank you very much for your gracious comment, Roger. Autumn is so pretty in Michigan, one can hardly miss coming up with colorful images. Ann ... what a gift you have for photography!!! Brilliant work! This is probably my favorite of yours. 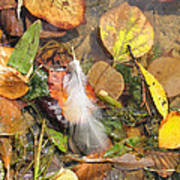 The colors are super and love the effect of softness the feather adds. Great work!!! Thank you also for your kind words on my drawing of "Penguin Mama". I really appreciate it. Ann, I very much enjoyed viewing your photographs. I like your ability to take such a variety of shots with such consistent quality. I was drawn to this by the colors and then found the feather. What a great shot. Thank you so much for your kind words on my work. 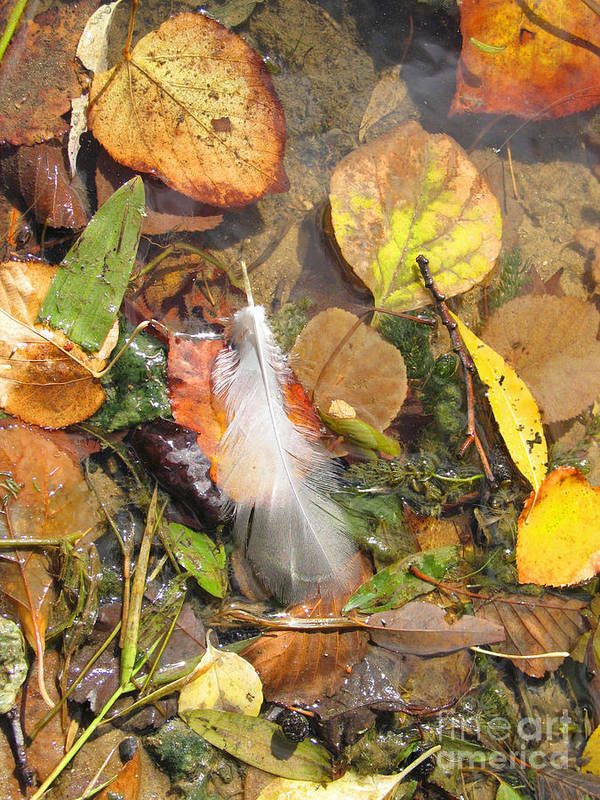 Assorted autumn leaves, twigs, grasses, and a bird's feather lie in a jumble at water's edge, remnants of warmer days. Southeastern Michigan. Copyright 2006 Ann Horn. ALL RIGHTS RESERVED. This copyrighted image does not belong to the public domain and may not be reproduced, copied, altered or manipulated in any way without the written permission of Ann Horn. ann-horn.pixels.com pixels.com Group Features: Glimpses of Autumn. Wisconsin Flowers and Scenery. The Artistic Forager. Feathers.